If you are a resident of Belleair, Florida and are planning a special event or party, we urge you to check out our party rental site. A 2018 historic survey project for the city of Belleair, Florida was just released. It is a look at Belleair homes that are at least 50 years old. These houses are rich in heritage and cultural characteristics. Our Done Rite Party Rental bounce houses may not be historically significant but are characteristic of modern times. Birthday parties have seen a change over the last few years. Instead of the basic ice cream and cake, pin the tail on the donkey and musical chairs party agenda, more and more people have turned to bounce house apparatus to help little Susie or Jimmy celebrate a birthday. Bounce houses fulfill the need of youngsters to run amok (in a good way.) We are a local family run business that rents out inflatable equipment, such as: bounce houses and moonwalks and even water slides in the city of Belleair, Florida. The city of Belleair is very environmentally conscious which is evidenced by the town street sweeping machines, annual free shredding event and strict trash and recycling regulations. Done Rite Party Rentals appreciates doing business with a town whose image is squeaky clean. When our company staff members set up party equipment, such as bounce houses and water slides, there is nothing like arriving at a designated party area that is well-kept and clean. Belleair is so community minded that that the Belleair Police Department accepts RX and non-RX medications for safe disposal. The Police Department also offers a FREE house check service to Belleair residents who are away on vacation, in the hospital or any other special circumstances. The city takes pride in their Belleair Teen Council whose members serve the community in any way that is needed. Done Rite Party Rentals follows their lead by engaging the youth in the area in the pursuit of party fun. We do that by renting out bounce houses, moonwalks and water slides. It makes for a good feeling when we see the awesome look in a child’s eyes when he or she lays eyes on our company inflatable rides. 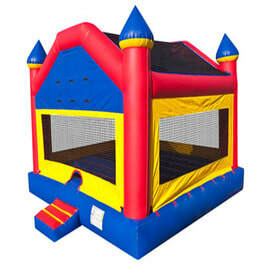 Our party rentals for Belleair include: bounce houses and castles, moonwalks and water slides. 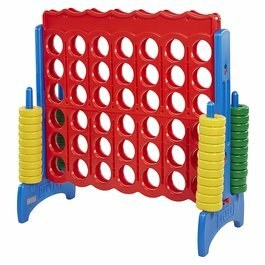 We also have a selection of party games for rent and concession machines that serve up popcorn, snow cones and cotton candy. Our bounce houses come in varied colors and themes and we have water chutes in sizes to accommodate both adults and youngsters. 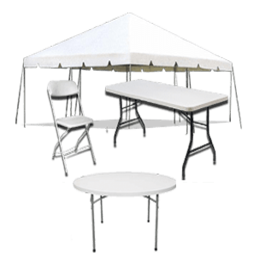 Extras: tables, chairs and tents. Done Rite Party Rentals has techs that deliver and set up all inflatable bouncers and miscellaneous party equipment. We realize that punctuality is important to every party host and guarantee all bounce castles and slides will be up and running before your event begins. Done Rite Party inflatables are available for any location in Belleair that has the appropriate space. Our bounce houses, water slides and moonwalks make a so-so festivity better and a good party the best event ever. Our party inflatables, games and refreshments are available for all celebratory occasions….birthdays, church affairs, school events, fairs, carnivals and more. Health concerns mandate that all inflatable bounce rides and water slides be thoroughly washed and disinfected prior to and after each use. Done Rite Rentals doesn’t take that lightly. No bouncer or slide goes out for rent without us taking that most important step in our rental process. Done Rite Party Rentals for Belleair, Florida is licensed and insured. We comply with Belleair city codes. 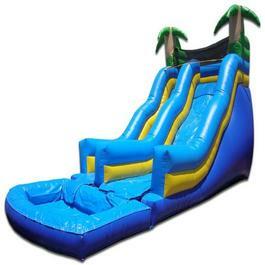 ​Our party rentals for Belleair include: bounce houses and castles, moonwalks and water slides. 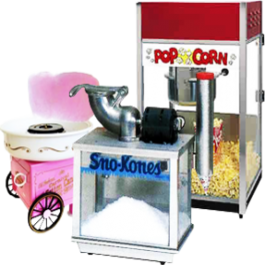 We also have a selection of party games for rent and concession machines that serve up popcorn, snow cones and cotton candy.